URGENT! Your check engine light is on! Stranded? Check engine light on? We can help you avoid this scenario! 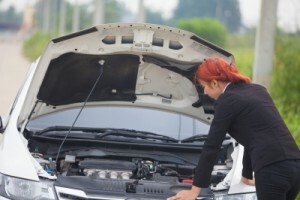 Before your check engine light comes on, we have 2 words for you: preventative maintenance! Most people will agree. Our economy is challenged. That means you actively look for ways to stretch your hard earned dollar. One of the best ways you can do that is by making sure you do everything you can to extend the life of your vehicle. In order to achieve this goal, it’s imperative that you keep your vehicle in top condition. B & M Auto Specialists offer more than 32 services in preventative care. We know how valuable your vehicle is to you, your family and your business. That’s why we want to help you take good care of all of your vehicles. Let’s face it. By the time the check engine light comes on, you’re most likely looking at an expensive repair job. Our goal is to help you prevent that check engine light from ever coming on. We accomplish this by offering a full range of preventative services for your engine. May is such a busy month for many of us…graduations, receptions and parties. How nerve wracking and upsetting would it be to find yourself stranded on the side of the road instead of cheering for your graduate as she walks across the stage? We can help you avoid that embarrassing situation by offering you only the preventative care your vehicle needs. Stress free. No check engine light coming on. Safe. Reliable. When it comes to your vehicles, that’s the peace of mind we want to provide for you. Contact us today. One of our friendly staff will be glad to schedule your appointment.